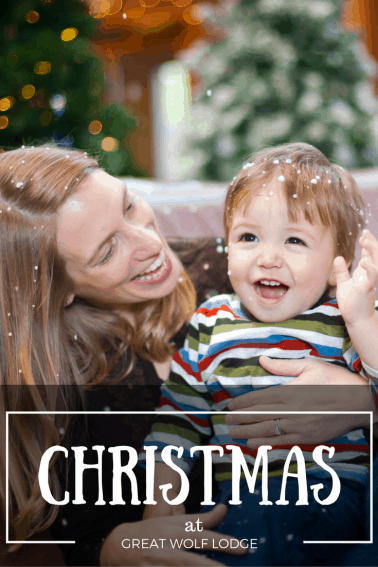 Every year, Trekaroo helps families asking, “What family-friendly Christmas events and activities are near me?” Whether you are doing some holiday travel to an exciting new destination or staying home, you’ve come to the right place. Every year, our team of fun-loving families curates the best holiday activities for your kids, with updated guides, tips. Are you’re thinking of visiting a theme park during the holiday season? You’ll find a little extra magic sprinkling down during the holidays. Check out our special section on theme park holiday guides below. And if you’re traveling during the holidays as a family to see family or to just get out of town, don’t miss our holiday travel tips from other families who have braved the air and the roads during the holidays. Now, let’s explore local holiday activities across North America and the world. Know where you want to go? Click the menu below for a shortcut to the region you are interested in. In Southern California, during the holidays you might find yourself ice skating on the beach in San Diego, watching holiday boat parades in Los Angeles, or taking in the magic & “snow” at Disneyland. While Southern California may lack cold weather, it makes up for it in wonder, awe, and holiday cheer. Here are some suggestions for family-friendly holiday fun in Tucson. Splash Into the Holidays at Great Wolf Lodge Resorts – Halloween and Christmas Fun! Explore the Holidays and Christmas in Phoenix, where your family can walk through lights, festivals, and even snow-themed events that evoke the warmth and gladness of the holiday season. In Northern California, families love cutting down fresh Christmas trees at numerous u-cut Christmas farms near San Francisco and riding with Santa on a train. You can also travel back in time for a Victorian Christmas, or frolic through white-capped mountains full of playful powder. San Francisco and Sacramento’s urban core are full of Holiday and Christmas events. San Jose Guide to the Holidays! A little rain and a little snow, who knows what the Holiday season might bring in the Pacific Northwest. But what you can be assured to find is lots of holiday cheer. Here are our favorite family-friendly Christmas & holiday events in Seattle, Portland, and Vancouver. Christmas in the Northeast conjures up traditional images of twinkling tree lights white with snow, door to door caroling, and wintry streets primed with shoppers looking for the perfect gift. What about ice-skating in New York City? Find your favorite holiday activities in these historic cities. Enjoy southern charm and hospitality during the Christmas and holiday season located in Florida, Tennessee, Georgia, and South Carolina. Stunning snow-capped mountains of America’s mountain region are the backdrop for family fun featuring visits with Santa. You’ll find incredibly detailed light displays, community outreach opportunities, and fantastic holiday music in Utah, Colorado, and even West in Carson City. From visiting with Santa at the top of the world to down-home traditions and fantastic light displays, Chicago and the Midwest offer plenty for celebrating the season. Don’t miss the Texas-sized holiday fun down south. Feeling the tropical lure for the holidays? Check out Christmas on Hawaii | Christmas in Cancun! Get away for the holidays to explore these great international destinations during the Christmas and Winter holiday break. Theme parks throughout the country are joining in the on the holiday-themed fun. Disney Parks are famous for their quality holiday offerings. My can’t miss recommendation- watch the fireworks & light show at Sleeping Beauty’s castle before enjoying the snow! Traveling for the holidays is always exciting, but it does present extra challenges to families during this busy travel season. You are more likely to experience packed flights and delays. Trekaro families have been in your shoes and share their tips on how to smooth out the bumps of holiday travel with kids.